The Toronto-Kakuma Girls partnership had its first seeds in dinner conversations at the Morneau family table. The company Clare's dad worked for funded a special boarding school for gifted and vulnerable girls in Kakuma Refugee Camp, the Morneau Shepell Secondary School for Girls (MSSSG). Clare wanted to know more about these girls her age across the world. She started a letter-writing partnership with the girls in her school, Havergal College, Toronto, and girls at MSSSG in Kakuma. The students learned they have a lot in common as teenage girls - but also very different lives. But the biggest shared dream is a peaceful, happy productive life and for girls everywhere to have a chance at education. The UNHCR sub-office in Kakuma, under the leadership of Mohamud Hure, UNHCR's Education Officer there, started to pair up girls in Kakuma and Canada to begin their letter writing journey. It was soon followed by a few Skype calls, sometimes cut short or cancelled because of power outages in Kenya or a snow storm in Toronto. At Havergal College, Clare had the support of the Forum for Change, a department at Havergal specifically dedicated to helping students develop their original ideas about how to get involved in their community and the world. It is an essential part of Havergal where new ideas are valued and explored. The Forum has fostered the Kakuma Toronto Girls Education Partnership. It has been a place to discuss new ideas and approaches, and a home for our early morning Skype calls. 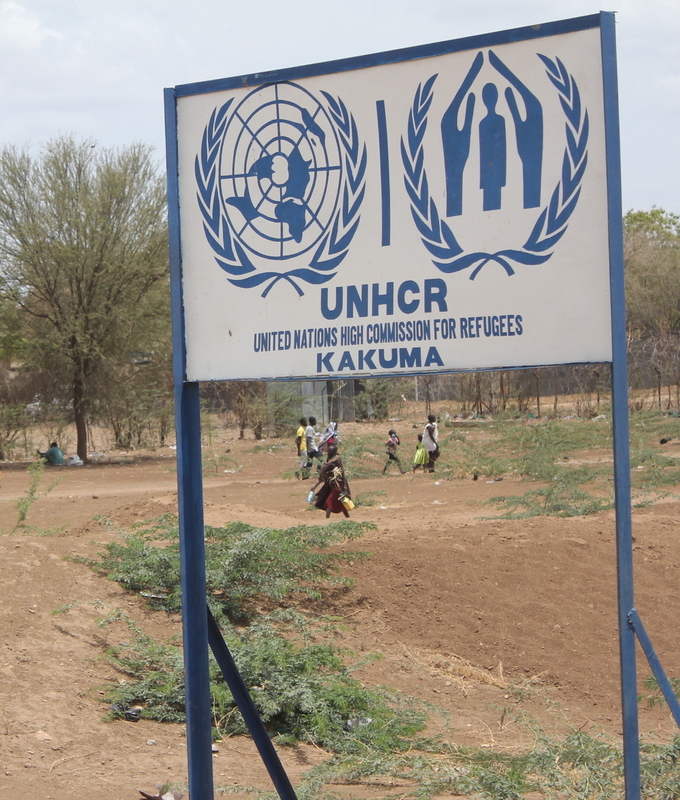 Today other students too can write to students in Kakuma -- see Get Involved --or maybe start your own project to connect with refugee students in your city or town or in other refugee camps who would surely love to correspond with fellow students globally. A friendship is an inseparable bond that people have. It is a bond that brings people together and makes them one, irrespective of their various differences such as their races. Friendship is also a relationship that two people have that occurs naturally. The relationship I value so much is my relationship with my mom. I have really enjoyed my friendship with the Canadian girls so much. I have gotten to know how they live, how their education system works, and several other things. They have made me desire to go to Canada and meet them person- ally. They have encouraged me to continue working hard since I am hoping to get the opportunity to study at a higher level in Canada. Friendship is just caring for each other and having each other’s backs and having a good time with others. I have learned how to be compassionate towards more people because my friendships have helped me to think of others. [The friendship with the girls in Kakuma has] really opened my eyes to make me more appreciative of what I have and has made me thankful for the bond of friendship. I feel like I have these friends in Kakuma and I care for them and think about them. It just makes me grateful for everything.